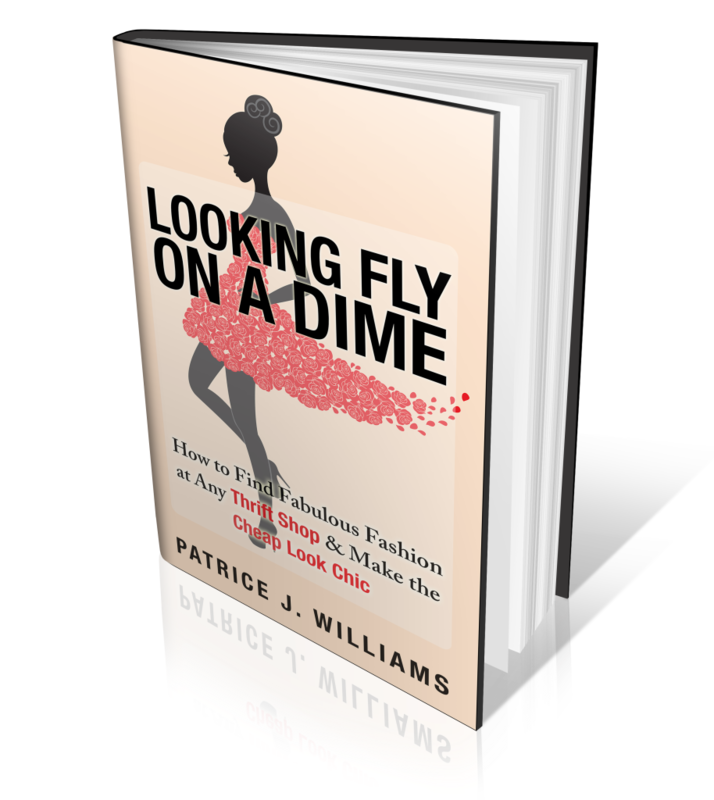 If you are a virgin to thrifting and want in on the action but don't know how to get started then look no further because Looking Fly on a Dime by Patrice J. Williams comes to the rescue. Patrice is the writer and owner of the style blog Looking Fly on a Dime. This eBook is a thorough guide, yet a light read, chock full of great tips to snag designer and one-of-a-kind pieces to add some flare to your style for cheap, like sometimes even $1 cheap! She includes tips on prep for an outing, thrifting etiquette, what to get and what to put back, whether to thrift alone or with friends, how to sanitize; deordorize and care for your finds and ideas for how to rock your secured goodies. As a seasoned thrifter, the tips she shared are the sames jewels that I would share with newbies. I enjoyed and drew inspiration from the pictures Patrice shared of looks she's created from partially or fully thrifted items. I especially loved the look she created with a beautiful, thrifted cape. I want hers! I so want one for the fall and am hoping the thrifting gods will place a fab one in my view during my next thrifting excursion! You can find the book through Amazon (Kindle). Happy thrifting! I LOVE thrifting! I would say I'm a semi-seasoned thrifter but I'm def going to check out this book for more tips. Thanks for sharing! Hi Denise! Yes, please do! Patrice shares some great tips and has amazing style!